The manufacturer of automotive gear boxes assessed the application of short fiber reinforced PEEK for a thermally and mechanically loaded component. 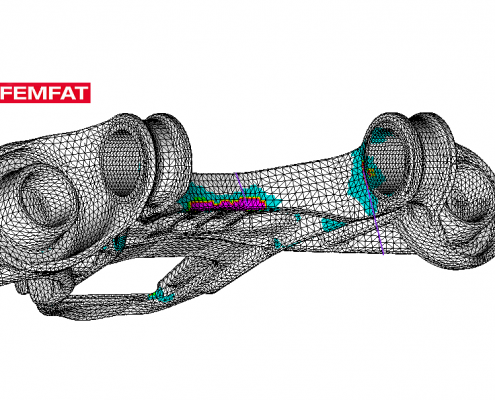 He needed early indications about the components fatigue and creep resistance. 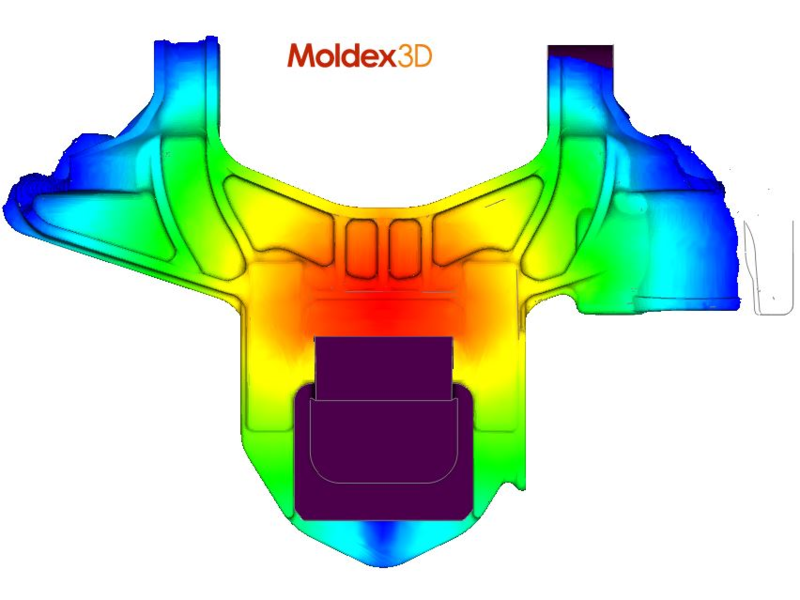 We simulated the injection molding process including the resulting local orientation of the short fibers. 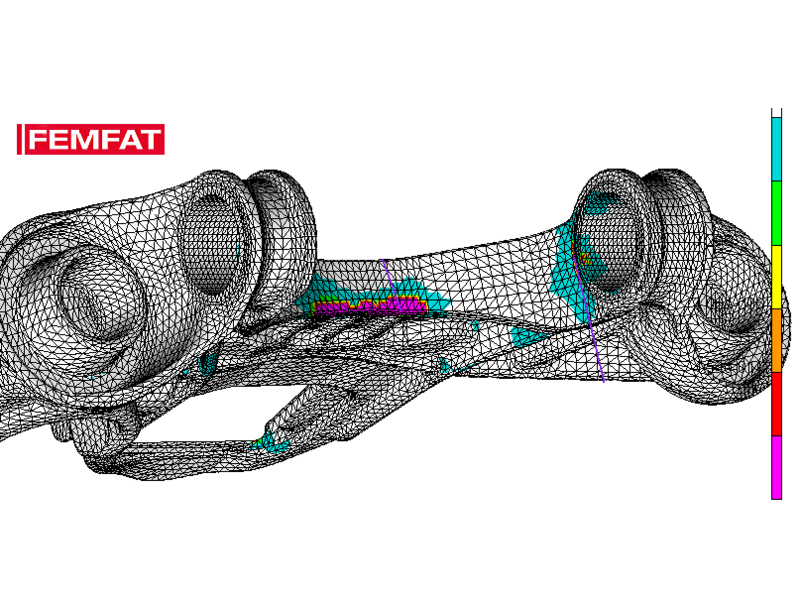 Then we performed an FE analysis and a fatigue life analysis taking this manufacturing influence into account. Additionally we did FEA with viscoelastic-viscoplastic material models to analyze the components creep resistance. 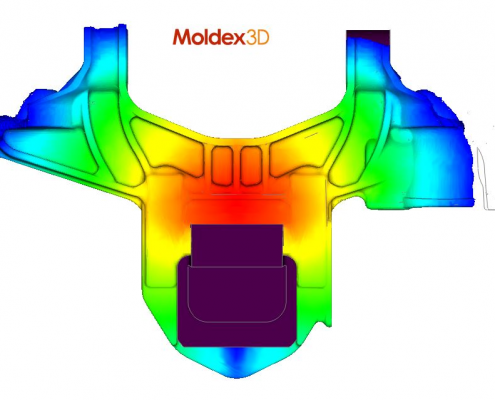 The necessary material tests and material models were predominantly done by us in our laboratory. 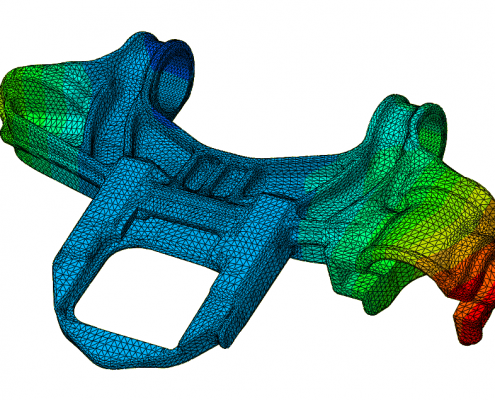 This Analysis gave valuable insight about how to optimize manufacturing process and design and served as a solid base for further project decisions.